Take an in-depth look at the cities vying for MLS's next four expansion berths, from all aspects of their respective bids. MLS was a very different place just 10 years ago, when the league’s dozen clubs attracted around 15,500 fans per game. The first expansion teams of the 21st century, Real Salt Lake and Chivas USA, were in their sophomore seasons in 2006. The former was launched by Dave Checketts, a well-known sports executive and University of Utah graduate who awkwardly decided to name his new club after Real Madrid and base it in a small market with next to no soccer tradition—Salt Lake City. MLS wasn’t in any position to say "no." The latter was started by Chivas de Guadalajara owner Jorge Vergara, a capricious and controversial Mexican billionaire who made his fortune selling dietary supplements. He was convinced fans across Southern California would flock to support a team wearing the Guadalajara crest on its jerseys. MLS wasn’t in any position to say "no." Checketts and Vergara each paid some $7.5 million to join the league. In 2006, Toronto FC was preparing for its inaugural campaign the following year. MLS’s first Canadian entrant spent more—around $10 million—for the privilege. Those numbers seem impossibly quaint now, like when a grandparent reflects on the days when a few thousand dollars bought an entire house. MLS attendance during the 2016 season surpassed 21,600 per game. Only one club, FC Dallas, failed to beat the 2006 league average. There will be 22 teams in 2017 as the Uniteds Minnesota and Atlanta take the field, and those following them will have to pay $150 million just to get a foot in the door. Sponsorships, a stadium, a proven fan base and more will be expected along with the expansion fee. And the line to get in is long. Ten years ago, MLS was desperate. Recently, it revealed a list of 10 markets vying to be awarded one of the four slots that will take league membership to 28 (it’s still assumed Miami will be No. 24), with another two cities, Phoenix and Indianapolis, joining the field as late entrants. It’s a race with considerably more intrigue than the league’s regular season, from which more than half the teams move on to the MLS Cup playoffs. The stakes are higher as well. MLS set a Jan. 31, 2017, application deadline and is committed to identifying teams No. 25 and 26 by next fall. Amid the expansion arms race, Planet Fútbol will take a closer look—one by one—at each prospective MLS market and delve into its strengths, weaknesses and expansion prospects. It’s overshadowed by the larger cities along the coasts, but Sacramento, California—the capital of an economy with the world’s sixth-largest GDP—is bigger than you think. Most are surprised when they hear it, and that comes from the preconception Sacramento has been battling since its USL team, the Republic, took the field in 2014: Sactown anchors the 20th-largest DMA (or media market) in the USA. And it’s the only member of the top 20 with only one major league sports franchise (only two have fewer than three). There’s plenty of merit to Sacramento’s claim that it’s the most underserved pro sports market in the country. It’s a diverse city—around one-fifth of the population is Hispanic or Latino—at the heart of California’s Central Valley and a metropolitan area that’s the country’s 25th most-populous. A study conducted by Texas-based Conventions Sports & Leisure found that Sacramento would rank ninth in MLS in median household income and fourth in sports spending per household. The regional economy is growing. Sacramento’s nearest MLS rival would be the San Jose Earthquakes, who play about 120 miles to the south in Avaya Stadium. Republic’s MLS effort is spearheaded by club co-founder and president Warren Smith and lead investor Kevin Nagle, who founded health care and pharmaceutical benefit management company EnvisionRX Options. Rite Aid bought it last year for $2 billion. MLS likes investors with pro sports experience/connections, and Republic has two of them. Jed York and his family, who own the San Francisco 49ers, have a significant minority stake. And the Sacramento Kings won’t be the competitor MLS may have feared. They’re invested in Republic as well (Nagle also owns a share of the NBA franchise). UPDATE: Apparent ownership discord has threatened to jeopardize Sacramento's bid; read full details of what's transpiring. Republic is ready to roll as soon as it gets the green light from MLS. The club has access to a plot of land in the 224-acre Railyards district just north of downtown, where a massive redevelopment project already has been approved by the city council. It’s supposed to include a medical campus, offices, retail, more than 1,000 hotel rooms, parks and a new, 19,000-22,000 seat MLS stadium. The city is handling the bulk of the required Railyards infrastructure and Republic will finance construction of the arena. The club and city signed a term sheet in 2015, and the environmental impact report and basic architectural and design elements have been approved. Work on the finer details is well underway, although a stadium naming rights sponsor has yet to be secured. MLS has no interest in admitting Republic before the stadium is ready, meaning there won’t be games in a temporary facility. But the league also doesn’t plan to add a 25th team before 2019, at the earliest. So there’s time. Sacramento has a decent history of supporting its teams, both in the stands and at city hall. The Kings were famous for their sellout streaks at ARCO Arena. And when the NBA team threatened to leave town without a newer, larger building, the city and then-mayor Kevin Johnson—the former Phoenix Suns star—helped recruit a new owner and then kicked in around $220 million to help build Golden 1 Center. It’s been full so far this season. Johnson’s successor, Darrell Steinberg, is supportive of Republic and the Railyards development. Before he got into soccer, Smith helped bring the Sacramento River Cats to town. The San Francisco Giants AAA affiliate plays just across the river from downtown and led all of minor league baseball in attendance from 2000 through 2007. Their average crowds ranked second in 2015 and sixth this season. The Cats have won four Pacific Coast League titles. But that’s about it, and the relative lack of competition has helped Republic put down roots quickly. Sacramento can claim to be a soccer town as well. The club averaged more than 11,200 fans during its 2014 inaugural season—a USL record—and then surpassed that total in 2015. This year’s average of 11,514 ranked second all-time thanks to FC Cincinnati’s astonishing gates. Republic also has set league records in season ticket sales (it currently has more than 8,000), sponsorship, merchandising and other metrics—the sort of stuff MLS looks for—and it’s attracted foreign clubs like Newcastle, Sunderland, West Brom and Rangers for midseason friendlies. Republic won the 2014 USL title and finished first in the Western Conference this year. Despite a somewhat limited history with the sport (with all due respect to the 1979 ASL and 2010 NPSL champion Sacramento Gold) Sacramento has demonstrated its soccer support off the field as well. The CS&L study claimed the market had the sixth-highest U.S. TV rating during the 2014 World Cup and ranked fifth for last year’s Women’s World Cup. It’s per capita rate of adult and youth league soccer participation ranks second. There’s no reason Republic can’t become another “smaller-market” MLS powerhouse like Sporting Kansas City, Real Salt Lake and the Portland Timbers. If the league wants a club that’s ready to play right out of the gate in 2019 or 2020, Sacramento is the low/no-risk choice. The stadium deal is done. It already has an academy up and running that’s fully-funded down to U-12. It has a jersey sponsorship agreement signed with the UC Davis Health System, which is the city’s third-largest employer. And that shirt is pretty nice—the Republic brand, its California-flag inspired crest and unique burgundy-and-beige color scheme is tremendously and deservedly popular and would bring value to the league. So would its natural rivalries with the Earthquakes and LA Galaxy. The latter already has blossomed in USL. 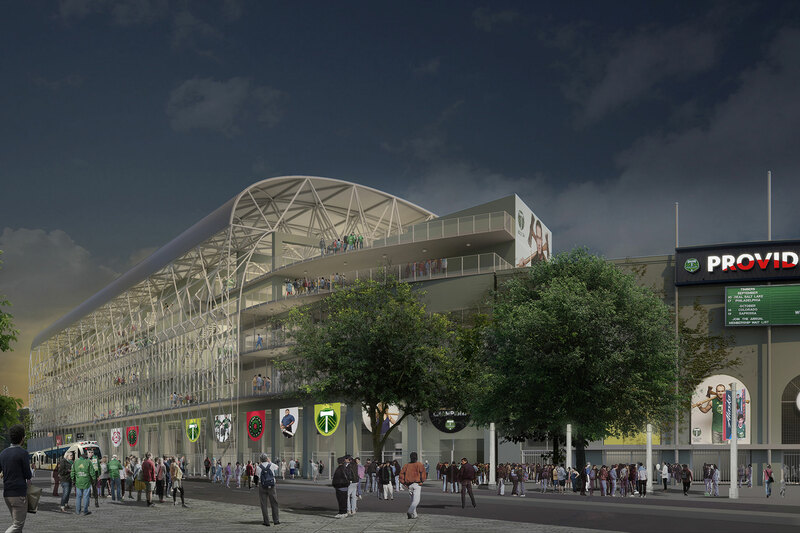 Sacramento can throw out all the statistics it wants—it’s still not a city that would bring a whole lot of big-league cache to MLS. Clubs like Sporting KC and RSL can overcome that, of course, but the competition is a lot tougher now. There’s concern in some quarters that it's too close to San Jose and an Earthquakes club that still hasn’t broken through in the Bay Area. That 120-mile separation is similar to the one between Washington and Philadelphia. Those are bigger cities with a lot more people and corporations between them. The Quakes can’t stop Republic from coming in, but they may be concerned about competition for sponsorship. There are no Fortune 500 companies headquartered in Sacramento, although many do business in the state capital. The same CS&L study cited long-term support from corporations and premium ticket buyers as the key issues facing Republic’s expansion bid. The city would rank 18th in MLS in the number of companies with more than $5 million in annual sales and at least 25 employees. “We've always said to both the mayor and Kevin Nagle and his partners that we'd be establishing a formal process …. In no way have we used any market to leverage any other. 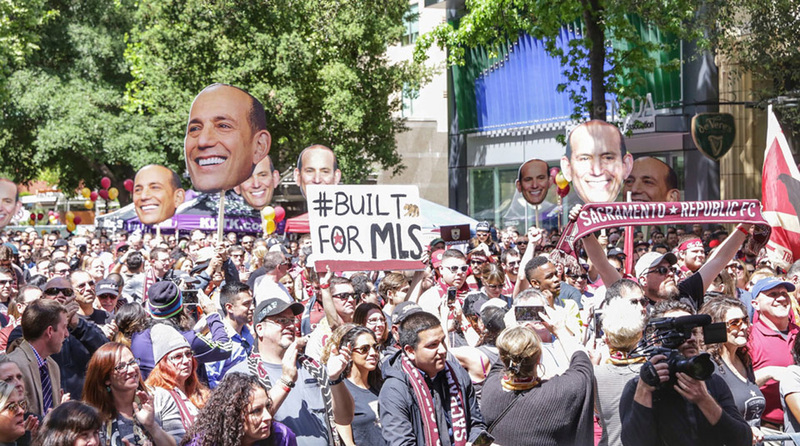 Sacramento, like all other expansion prospects, will have to go through the formal process so that they're sure they have all the pieces in place to ensure their success and certainly we'd want to understand the same,” Garber said last week during a conference call with reporters. The four-term mayor of St. Louis, Francis Slay, played on youth soccer teams affiliated with his local parish and went on to win three NAIA titles at Quincy University, which is just across the river in Illinois. While competing for Southern Equipment Co. (known as SECO)—a club moniker fitting for a city that produced U.S. Open Cup champions named after a hat company, a department store, a car dealership and a funeral home—Slay met his wife. She was the sister of a player on an opposing team. They went to a St. Louis Stars game on their first date. That’s a ho-hum story if you’re from St. Louis. Because if you’re from St. Louis, there’s a good chance you’ve got a connection to soccer. The sport’s deep roots were planted decades ago by immigrant populations that spread throughout the area, which in many ways remains defined by that cluster of suburban communities and the schools and churches that anchor them. Those roots were fostered by the litany of pros and internationals that hail from the region and the 10 NCAA titles won by the SLU Billikens. What the city itself has lacked since the NASL Stars moved to California in 1977, however, is a top-tier pro soccer club. It’s a bizarre bit of discord that MLS has hoped to correct for some time. An effort by local attorney Jeff Cooper to secure a team fell through a few years ago—probably for the best. He planned to build his stadium in suburban Illinois and his second-division team, AC St. Louis, lasted only one season (2010). The city waited, and MLS continued to hope investors would step up. St. Louis is at the center of the country’s 21st-largest media market and 20th most-populous metro area. It’s home to nine Fortune 500 companies—an impressive number for its size—as well as Anheuser-Busch, which doesn’t count because its parent is headquartered in Belgium. TV ratings have been a mixed bag—they weren’t great for the 2010 or 2014 World Cups, but last year’s Women’s World Cup did fabulously well in St. Louis, which ranked No. 1 among U.S. markets. There are around 30,000 registered youth players in the area. The city’s prospective MLS investors say they’re not worried about drawing crowds, however, especially among the millennial population that’s leading the slow but welcome migration back to downtown St. Louis. It’s a large one, led by Boston-based investor Paul Edgerley, who grew up in Kansas City and owns a piece of the Celtics and AS Roma. 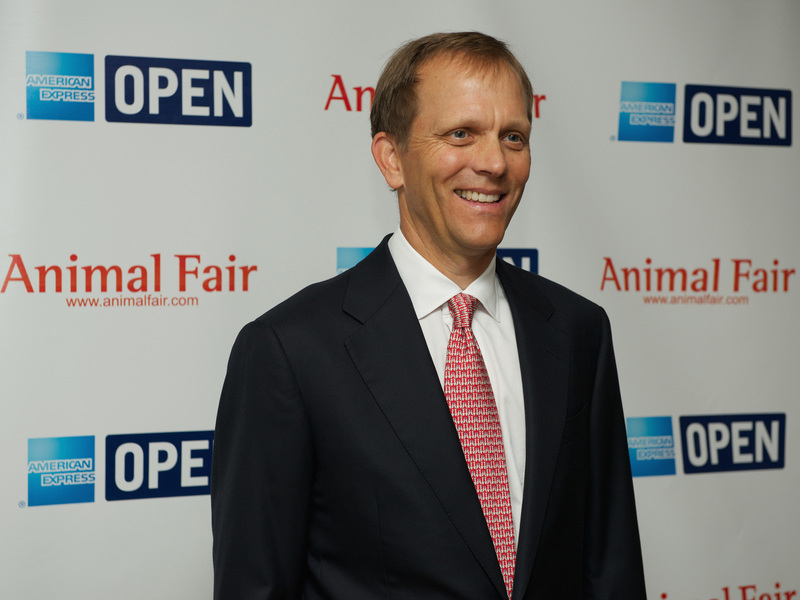 In addition to working as Bain Capital’s (see Romney, Mitt) managing director, Edgerley invested in a Jamba Juice franchise run by Dave Peacock, the former president of Anheuser-Busch and current chairman of the St. Louis Sports Commission. Peacock, who earned his MBA at Washington University, has been wanting to bring an MLS team to St. Louis for years. And things started to take shape in 2011-12, when World Wide Technology founder and CEO Jim Kavanaugh took over the St. Louis Scott Gallagher youth club and the Fenton, Missouri soccer park that includes a small stadium. Naturally, Kavanaugh played. He turned out for SLU and the U.S. Olympic team ahead of the 1984 Games and spent time indoors with the Los Angeles Lazers and St. Louis Steamers. In 2015, he launched St. Louis FC at renovated World Wide Technology Soccer Park. The USL team plays in Scott Gallagher’s blue and green colors. Kavanaugh is the vice chairman of the ownership group and also holds a stake in the Blues. WWT had revenue of $7.4 billion in 2015. The group includes nine more minority partners, including Peacock, Lodging Hospitality Management chairman and CEO Bob O’Loughlin and Cleveland Indians vice chairman John Sherman. It all hinges on this. The renderings look great and the location is ideal—a 24-acre site just west of the city’s historic Union Station, which is undergoing its own redevelopment and eventually will include restaurants, retail, an aquarium and a Ferris wheel. The stadium would be made available for other events and would lie just one mile from Busch Stadium and even less from the Blues’ Scottrade Center. 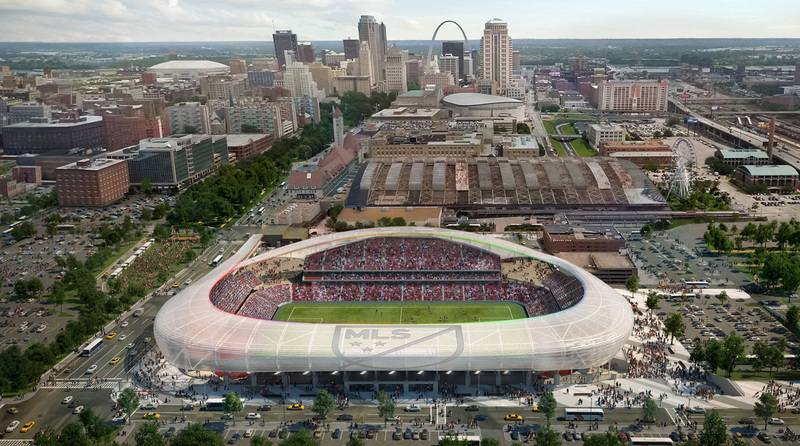 SC STL, as the MLS hopefuls are called, wants to build a 20,000-seat arena that could expand to 28,500 if needed. And the group says it's willing to spend more than $300 million on the franchise rights (the league’s expansion fee will be $150 million), the stadium and start-up costs. But it also wants about $80 million in city money and another $40 million in tax credits from the state covering land acquisition and site development. Peacock told SI.com that the tax revenue that will be generated by the stadium will exceed the $80 million, and he added that a state study agreed with that finding. Furthermore, SC STL intends to fund stadium maintenance, operation and cost overruns even though it won’t own it. It intends to sign a 30-year lease, and the group hopes that an April vote on a half-cent increase in the city’s sales tax, which could generate up to $20 million annually. Some of that would go toward building the $200 million stadium, which would be ready in 2020. Greitens has said he’ll meet with the group, but SC STL’s formal application is due to MLS on Jan. 31, well before the vote would take place. The Cardinals and Blues do well and Kavanaugh and Co. look forward to a good relationship with both. But it’s the absence of the Rams—who were set to command some $400 million in public money—that means the most to SC STL. Kavanaugh’s St. Louis FC has done reasonably well at the gate. The club ranked sixth in the 29-team USL this season drawing 4,923 fans per game. It didn’t do very well on the field, where it finished 14th in the 15-team Western Conference. To fix the latter, Kavanaugh hired former Toronto FC, Chivas USA and Sacramento Republic coach Preki Radosavljevic in October. The U.S. national team attracted 43,433 fans to Busch for a World Cup qualifier against St. Vincent and the Grenadines in November 2015. It was the first appearance for the U.S. men in St. Louis since 1997. St. Louis FC is the USL affiliate of the Chicago Fire, but the plan is to bring it in-house as part of a comprehensive club pyramid that Kavanaugh touts as one of the strengths of the SC STL bid. The MLS team will sit atop an organization that includes USL, PDL, Academy, travel and recreational teams that already are in place. Scott Gallagher has more than 7,000 players at all levels. The league has longed to tap in to the St. Louis market, which would bring a level of tradition and authenticity for which MLS has yearned. The ownership group is ideal. It’s well-heeled and has appealing ties to local communities and businesses as well as other pro sports organizations. The stadium location is perfect. St. Louis also helps MLS fill out the midwest U.S.—the league cares about geographic coverage—and instantly creates a couple of promising potential rivalries. An I-70 derby with Sporting Kansas City could become one of the league’s premier showdowns, while the enmity Blues and Cardinals fans traditionally have for their rivals in Chicago could form the basis of another run rivalry. The fact that SC STL hasn’t pledged to fund the entire cost of stadium construction is the only drawback, but it’s a significant one. If the tax increase passes in April, then all is well. If it doesn’t, then Edgerley and his partners will have to either ante up or pull out. The latter very well could send St. Louis to the back of the expansion line. As stated, it all hinges on the stadium. Get that resolved, and St. Louis is in. "I think if the vote fails, it's in many ways a referendum on behalf of the community as to whether or not they want to support the plan for a stadium downtown …. The St. Louis ownership group needs to determine whether or not the public support exists. I think the question as to whether or not they remain an expansion candidate would be probably a question for them much more so than for MLS if they don't get the public vote,” commissioner Don Garber said in recent conference call. Is there a symbol that sums up Major League Soccer’s early years better than that outer-space video game mutant bat thing? Nonsense names, loud colors and incongruous branding were just the beginning as top-tier soccer returned to the U.S. in 1996. There were the cavernous NFL stadiums, the aging foreigners, the unheralded American journeymen, lean times and lots of unpredictability. And shootouts. And 1990s soccer hair. The Tampa Bay Mutiny had it all, from their incomprehensible logo and neon/puke green jerseys to the stylish Carlos Valderrama-inspired soccer inside the original Big Sombrero. But like MLS 1.0, the Mutiny didn’t last. The club was unable to find an investor, attendance dipped into the four digits and at the end of the 2001 season, it was contracted along with the Miami Fusion. A lot has changed since MLS 1.0, and a lot has changed in Tampa and St. Petersburg. And so the Bay is back on the league’s expansion radar. Led by flamboyant local real estate developer Bill Edwards, the bid is anchored by the reborn Tampa Bay Rowdies, who will play this year in the USL after spending six seasons in the NASL. The Rowdies’ Al Lang Stadium, a converted waterfront baseball park, is their current and future home. It’s located in the St. Pete half of the country’s 11th largest media market and 18th-most populous metro area (around 3 million). Now that Atlanta United is ready to take the field, it’s significant that Tampa Bay is the largest media market in the U.S. without an MLS team. Yes, it ranks higher than Miami, Detroit and Phoenix. And that’ll turn heads at MLS headquarters, where boosting TV ratings is paramount. It’s also worth noting, and Edwards did so when speaking with SI.com, that the Bay no longer is “God’s Waiting Room.” Residents aged 20-34—the Millennials MLS covets—now comprises around 19% of the region’s population, according to a 2015 study, and that’s expected to rise more than 10 points in the next five years. The region was home to only four Fortune 500 companies as of 2015. Edwards had never seen a soccer game when he purchased the Rowdies in 2013. Edwards, 71, is all in. He was raised in Massachusetts, was wounded while serving in the Marine Corps during the Vietnam War, and eventually entered the mortgage business. He’s now one of the Bay Area’s most prominent businessmen thanks to his significant real estate holdings and involvement in high-profile projects, the arts and now sports. Edwards said he’s interested in bringing aboard additional investors—“the more the merrier,” he stressed—but he has every intention of remaining majority owner. Beyond the ownership group, Edwards made news last week with the hiring of former MLS and U.S. Soccer Federation executives Brett Lashbrook and Forrest Eber, who are highly regarded for their work overseeing Orlando City’s transition from USL to MLS. The Rowdies have one of the simplest, cheapest stadium plans among the expansion hopefuls. They already have refurbished seats, the video board, locker rooms and more at Al Lang, which sits on the downtown St. Petersburg waterfront. Now Edwards is committed to putting $80 million (plus cost overruns) into expanding the stadium from around 7,200 seats to 18,000. He told SI.com that he intends to ask for no public money and that the city will be on the hook only for some infrastructure upgrades such as sewage. 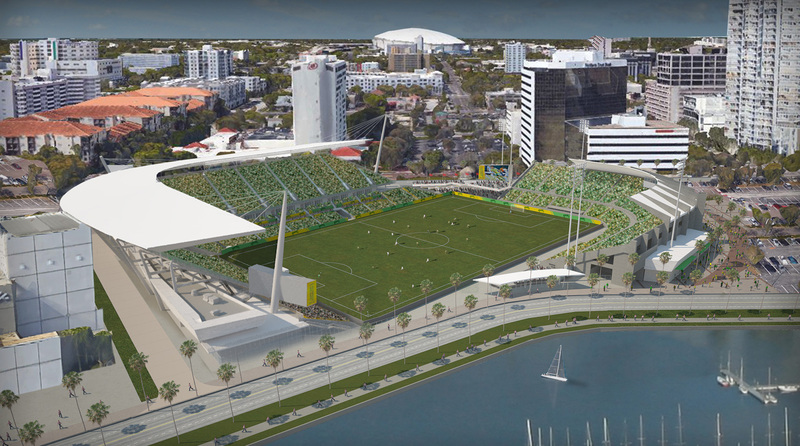 Working with ICON Venue and Populous, both of which have been involved in the construction and/or renovation of numerous MLS stadiums, Edwards and the Rowdies intend to turn Al Lang into a facility with a unique configuration that leaves one corner open toward the Bay and the other toward the city skyline. Edwards has purchased a nearby parking garage to boost the number of spots and said he is financing a special local election this spring, which is required when there’s any significant construction or lease agreement on the city’s waterfront property. Edwards said he expects to operate the stadium under a use or lease agreement with St. Petersburg. When the original Rowdies kicked off in 1975, the Tampa Bay area had no teams in any of the country’s major sports leagues. It now has three—the NFL’s Buccaneers, NHL’s Lightning and MLB’s Rays. Each has had periods of success and struggle, and at the moment the Lightning are the most consistent winners and play to capacity in Tampa’s Amalie Arena. But down the street from Al Lang, the Rays have the worst attendance in baseball. The Bucs drew an average of 60,624 this season to Raymond James Stadium in Tampa. It’s an unpredictable, eclectic sports town(s). The population is there, support wavers at times, but success is rewarded. It’s also an event town(s). Four Super Bowls, three Final Fours (one men’s, two women’s), two Frozen Fours and Monday’s College Football Playoff final, among others, have been staged in Tampa or St. Pete. Like other sports, soccer’s results in the area have varied. The original Rowdies debuted in ’75 and immediately won the NASL championship. Average attendance broke 10,000 that year and peaked above 28,000 in 1980. Then the decline began, the NASL folded in ’84 and the Rowdies spent several more years as a minor league and indoor team before finally shutting down 10 years later. In 1996, MLS and the Mutiny came to town. Again, things started well. Valderrama and Co. won the Supporters' Shield that first season and advanced to the Eastern Conference finals. But average attendance never broke 14,000 and the league was unable to find an investor to operate the team. The financial losses continued through the 2001 season, after which MLS shut down the club. Malcolm Glazer, who owned the Bucs and soon would take over Manchester United, negotiated with the league but ultimately declined to save the team. The Rowdies were resurrected in 2010 and joined the NASL the following season. Despite winning a championship in 2012, attendance was below 4,000 per game. Then Edwards stepped in, put some money into the club and stadium and plotted his entry into MLS. 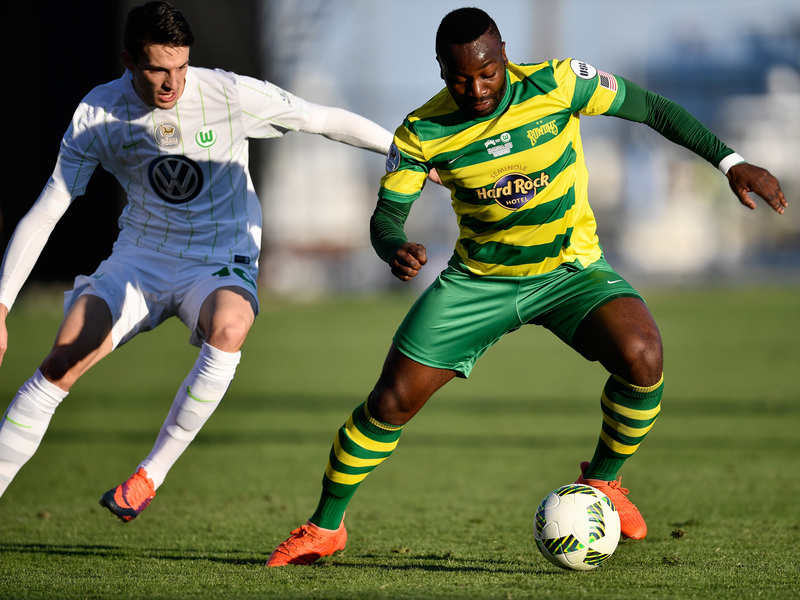 This season, the Rowdies averaged 5,878 at Al Lang, which ranked third in the league. The U.S. men's national team has played six times in the Tampa Bay area, most recently in 2012, when it defeated Antigua & Barbuda in a World Cup qualifier. Average attendance for the six games staged from 1985 through ’12 is 22,508. Raymond James Stadium will host the U.S. as part of a CONCACAF Gold Cup doubleheader in July. The area’s other national team tie sits a few miles south in Bradenton, which is home to U.S. Soccer’s U-17 residency program. The size of the market and Edwards’ stadium plan are huge plusses. MLS wants ratings and a population base, and the fact that the Rowdies would play in a downtown, waterfront venue that will cost half as much as many other grounds is unique and extremely appealing. Edwards’s wealth, enthusiasm and commitment are notable. Tampa Bay would have an obvious rivalry with Orlando City, which has been heated at times even though they’ve never played in the same league. There have been preseason matchups and one U.S. Open Cup meeting, a 2014 affair won by Orlando. The enmity extends beyond the soccer field. Edwards said sponsorship won’t be a problem. “The biggest problem I’ve had in this town is not being in MLS,” he said. Also, there are the Rowdies’ amazing green-and-yellow hooped jerseys. MLS needs those. Orlando’s proximity also could be a negative, especially if City objects to an MLS team a little more than 100 miles away. The Lions reportedly have the rights to the Tampa Bay TV market, and that’s not necessarily something they’d be willing to cede without compensation. The two metro areas combined have a population of around 5.3 million, roughly equivalent to a city like Atlanta or Boston. Then there’s Edwards himself, whose tendency to make waves could make for interesting times in an MLS boardroom that prefers things slow, steady and conservative. Edwards is outspoken, ambitious and no stranger to courting controversy, either in the media or in actual courts. Edwards is well-known for his philanthropy. He’s also no stranger to the witness stand. He’s a larger-than-life figure hoping to join a league influenced heavily by the stoic and/or quiet Phil Anschutz, Clark Hunt, and Robert and Jonathan Kraft. Edwards ultimately left the NASL because he said he couldn’t find common ground with his fellow owners. But he made no friends with stunts like July’s team-produced video highlighting officiating mistakes and a press release that called referees “inconsistent, incompetent and unprofessional.” It seemed very un-major league. At the same time, he demonstrated what an asset he can be through his renovations at Al Lang and the signing of a player like English veteran Joe Cole. Can his passion be channeled? Edwards acknowledged he’s “not a typical owner,” but he stressed that his respect for MLS’s growth leaves him with little incentive to rock the boat. 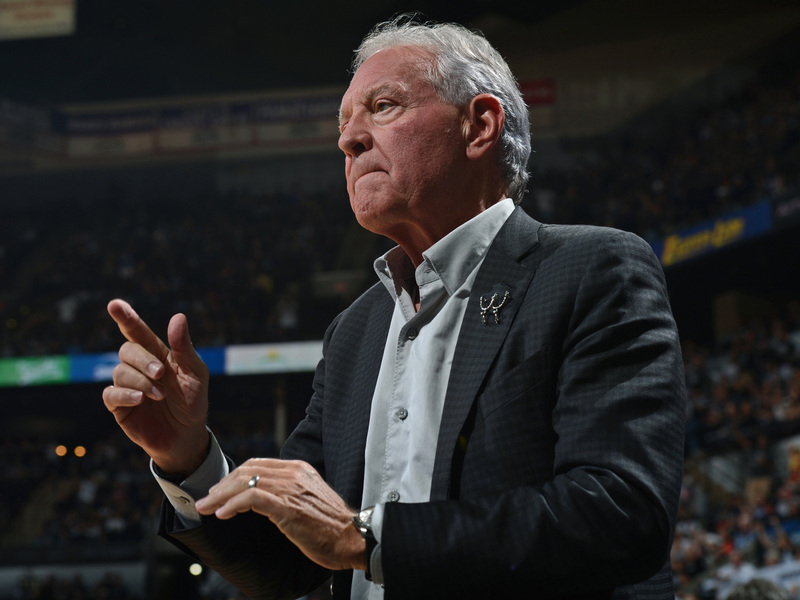 “We love what Bill has been able to do. Al Lang Stadium is super cool. You can’t get a better environment, right on the waterfront. This is the largest market that we’re not in. If you look at the top 15-18 DMAs, this is the largest of those where we don’t have a team in, so that’s intriguing to us,” Don Garber said at a University of South Florida lecture in October. The Nashville Predators are on a road trip through hockey’s heartland. They played Vancouver on Tuesday and are visiting Calgary and Edmonton before heading down to Minnesota—the ‘State of Hockey’—for a Sunday night game. The Predators are a team from the southeastern U.S., where kids don’t exactly grow up skating on frozen ponds. But the Preds won’t be cowed by the atmosphere in the arenas up north. They’re accustomed to colorful, raucous crowds. Nashville’s Bridgestone Arena routinely sells out (35 of 41 regular season games in 2015-16), and the fans there have come to represent North America’s closest approximation to Dortmund’s yellow wall. The Predators launched in 1998. It’s Music City. It’s the Athens of the South. But is Nashville a sports town? The Predators and NFL's Titans are well supported but relatively new. They’ve combined for just one championship appearance and aren’t national/global brands. And Vanderbilt University is in the SEC but is more well known for what happens in its classrooms. Ingram, however, is convinced pro soccer will work in Nashville, and he’s ready to make a significant investment in order to make it happen. It fills in a pretty significant hole in the map between Atlanta and Columbus, and Ingram said Nashville ranks second among the 10 identified MLS expansion candidates in millennial and foreign-born population growth. There’s your MLS sweet spot. There were six Fortune 500 companies in the area as of 2015 and it has the fastest growing Gross Metropolitan Product outside Silicon Valley and Austin, Texas. If Nashville isn’t considered a sports town now, Ingram believes it will be. Right now, it’s a group of one. But that’s probably enough. Ingram, 55, is the chairman of Ingram Industries, a privately held company with interests in book publishing, barge and river transport, and information technology. The company founded by Ingram’s father took in about $2.3 billion in revenue last year. The family, which includes John Ingram’s mother, two brothers and sister, is worth around $4.1 billion, according to Forbes. “I love sports. It would be new and exciting for me and the city, and hopefully a legacy for my family, so I said, ‘Yes, what the heck?’ I think I’m the guy in Nashville who can pull this off and I’m going to go for it,” Ingram said when asked why he wanted to invest in soccer. Ingram is on Vanderbilt’s board of trustees—he earned his MBA there— and said he would “be happy” to add minority partners. He committed to be the primary investor only last month. “There are a number of other families and individuals around Nashville we’ve got some very strong interest from. I think that will take care of itself,” he said. While leading the charge, Ingram also is part of a 28-member organizing committee of business leaders, executives and officials dedicated to bringing an MLS club to the city. It includes Titans president and CEO Steve Underwood and Predators president and CEO Sean Henry. Nashville SC, the USL expansion team slated to take the field next year, is run by former MLS executive Court Jeske. All those names will appeal at MLS HQ. Ingram doesn’t have a stake in the USL club, but he’s working closely with the new USL team’s ownership group, which includes organizing committee member David Dill. A partnership may be down the road. There isn’t much of one at the moment, at least publicly. That’s a function of Ingram’s recent entry into the expansion race. In fact, Nashville SC still hasn’t finalized its stadium for 2018. But MLS is planning to announce only two teams—Nos. 25 and 26—this year. That leaves Ingram some time before he’s got to nail down the specifics, although he’ll have to provide some information to MLS by the January 31 application deadline. He intends to do so, while highlighting Nashville’s history of engineering successful public-private partnerships. “We did it with the Titans. We did it with the Predators. We’ve done it with a major convention center. And I’m hopeful [a soccer stadium] will be the next great example of how the private and public can come together to do something really valuable for Nashville,” he said. He said there are “several sites being evaluated” and that additional details would be available in the next month or two. Ingram’s job will be to deliver the specifics that will whet MLS’s appetite. There are only three metro areas in the U.S. that have at least two teams in the traditional four major sports leagues and smaller populations than Nashville (Milwaukee, New Orleans and Buffalo). But as Ingram said, he's convinced there’s room for soccer. The U.S. national team has done well there. Its four games between 2006 and 2015 averaged 31,998 fans, which was enough to attract one of the Americans’ CONCACAF Gold Cup matches this summer. Mexico also has shown well. 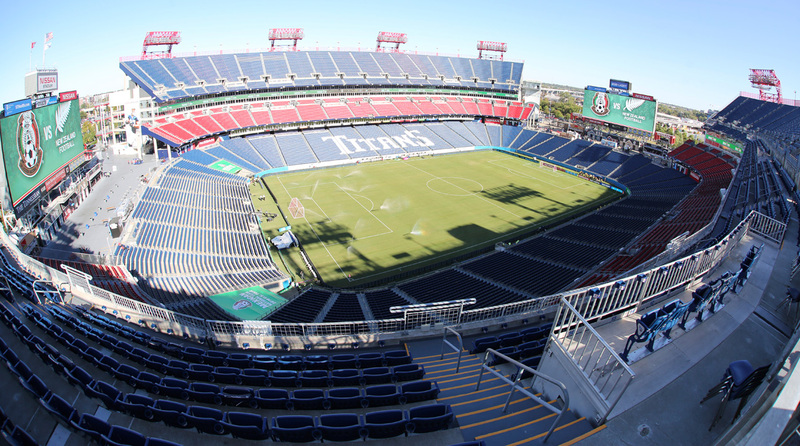 More than 40,000 filled the Titans’ Nissan Stadium for October’s friendly against New Zealand. The city had a pro soccer presence in the 1990s that included a five-year stint in the second-tier A-League by the Nashville Metros. They made a run to the U.S. Open Cup quarterfinals in 1998 that included a 3-1 win over MLS's Kansas City Wizards. The Metros dropped to the PDL and eventually folded in 2013. More recently, NPSL club Nashville FC has tapped into the city’s soccer interest. Taking the field in 2014 as a supporter-owned team, NFC wore the blue and yellow of the Nashville flag and drew around 2,000 fans for its first game. The club’s grassroots success proved attractive to Dill and his partners, who are taking the colors and branding (and they hope the culture) to the USL. Nashville and the surrounding region is home to some 32,000 youth players at 61 clubs. The Ingrams are very wealthy, which will appeal in the MLS board room—as will the fact that Nashville is the North American headquarters for Nissan and Bridgestone. The city itself is increasingly regarded as a hip, up-and-coming tourist destination for more than just country music fans, and MLS wouldn’t mind being associated with a place that’s young and on the rise. The league wants a national footprint, and Nashville helps provide that even though it’s not a large TV market. It’s a growing city and an MLS team there would be the closest one for more than 12.5 million people across nine states. Prove soccer can make it big in the Southeast and you’ve gone a long way toward building the “soccer nation” that MLS Commissioner Don Garber frequently references. Without a definitive stadium plan in place this month, Nashville stands no chance of being awarded one of the next two expansion teams. That leaves it to compete with a bunch of other markets for Nos. 27 and 28—many of which are larger. And unless Ingram can secure a stadium site and the public-private partnership he referenced, Nashville won’t have much of a shot at those either. As he said, they’re just getting started. But that means there’s a lot to do before Music City can be considered a soccer city, and that smaller market like Nashville will have to blow MLS away when the next round of teams is identified. "Nashville SC is set to launch as a USL club essentially being run by former MLS executives. And we're encouraged by the community's support, at least so far behind that team and kind of the political and business leaders who have come out and expressed interest in being a possible MLS expansion team,” Garber said last month. They’re certainly proud of all the titles in San Antonio. There’s only one major league sports team in town, but it’s dominant in more ways than one and the haul is impressive. It’s there to see in the rafters at AT&T Center: five NBA championships (the fourth-most in the league), a half-dozen conference crowns and the retired numbers of legends like George Gervin, David Robinson and Tim Duncan. Tim Holt is new to the area. He moved there last year after leaving Orlando City to become managing director at San Antonio FC, the city’s new USL team. Although Holt wasn’t around when the Spurs hung those banners, he’s become well acquainted with how they were earned. The NBA juggernaut and SAFC have the same owner–Spurs Sports & Entertainment. Ask Holt about his new bosses, and he’s quick to mention additional honors that don’t come with a trophy but do say quite a lot about the company. For evidence, Holt said, look at ESPN’s “Ultimate Standings.” Each year, ESPN and independent survey and research companies examine every team in the NBA, NFL, NHL and MLB and rank them according to more than just wins, losses, coaching and talent. Fan relations, affordability, arena experience and ownership conduct also matter. And on four occasions since the Standings launched in 2003, the Spurs have been No. 1 overall. It’s also the only franchise to reach the top 10 every year. That matters, Holt said, because it’s an indication of how SS&E will run an MLS team. 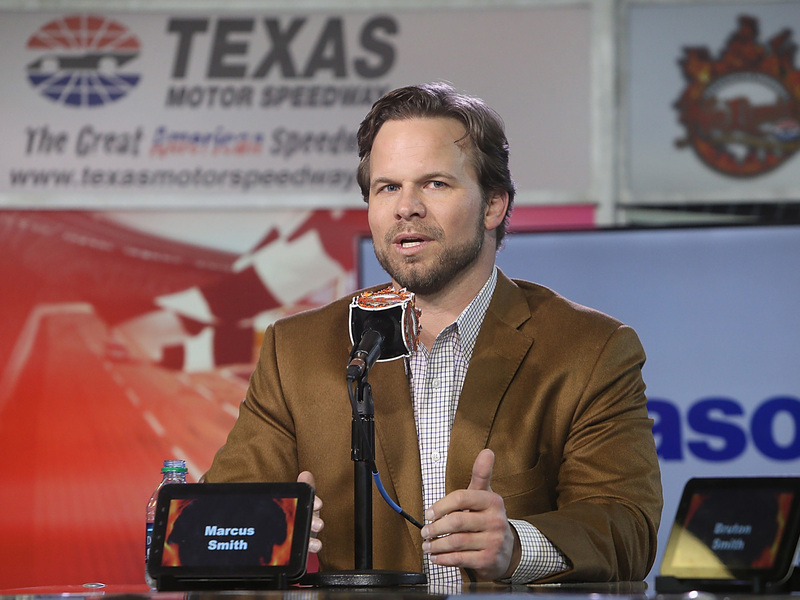 The company’s track record and reputation will anchor San Antonio’s expansion application. SS&E is a huge part of what makes San Antonio stand out. On its own, the market is on the fringe of the 28-team league MLS currently envisions. It’s the 25th most-populous metro area in the U.S. but ranks only 31st as a media market. There were five Fortune 500 companies headquartered there as of 2015, but that number is nearly doubled by Dallas and dwarfed by Houston. Dig deeper, however, and MLS might find some intriguing statistics. Holt said the increasing connectivity between San Antonio and Austin, which is about 80 miles to the north, can make the region feel like one, integrated, massive metro area. “I go to a ton of Spurs games, and invariably I’m sitting next to someone who lives in Austin,” he said. Combined, San Antonio and Austin have a population of some 4.4 million. Both are growing, and that should appeal at MLS HQ. According to Forbes, as of 2013 San Antonio was enjoying the largest increase (9.2% over three years) of new residents in their 20s in the country. Meanwhile, San Antonio is the seventh-largest Hispanic media market in the country. Austin ranks 22nd. Millenials and Latinos arguably are MLS’s two most important target markets. SS&E is a consortium of investors led by chairman and CEO Julianna Holt and her husband, Peter Holt (no relation to Tim). The Holt family owns Holt Cat, which is the country’s largest Caterpillar dealership. It exceeded $1.6 billion in revenue in 2014. The Holts took over the Spurs in 1993 and now hold a controlling interest in SS&E, which also includes Aramark, AT&T, Clear Channel Communications, Valero Energy and others among its investors. SS&E operates the county-owned AT&T Center and in addition to the Spurs and SAFC, it owns the AHL’s Rampage (the affiliate of the Colorado Avalanche), the WNBA’s Stars and the NBA D-League’s Austin Spurs. They all wear the black and silver colors adopted by the Spurs in 1973. SS&E and SAFC intend to turn what could have been a liability into a selling point. 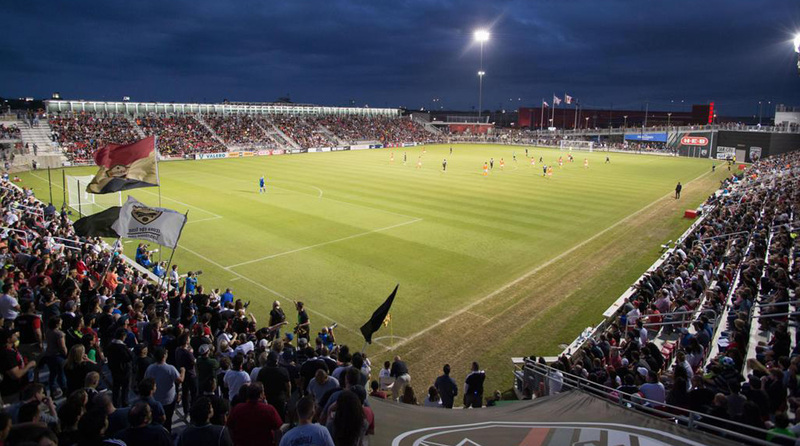 As it stands, Toyota Field is among the finest lower-tier soccer stadiums in the country. The publicly owned facility opened in 2013 and seats around 8,000. It’s located some 12 miles northeast of downtown San Antonio and just off the highway that leads up to Austin. Despite MLS’s typical preference for “urban core” venues, there are markets like Kansas City and Philadelphia that have made a suburban location work. And Holt said the easy access to Toyota Field from downtown, the I-35 and I-410 highways and the rest of the San Antonio-Austin corridor—not to mention the adjacent 12-field STAR Soccer Complex and nascent tailgate culture—combine to create an “optimal” stadium site. While MLS may not see that as ideal, it certainly doesn’t regard the location as a negative. Instead, it’ll come down to the renovations and upgrades planned for the stadium. The city of San Antonio and Bexar County put $18 million toward the purchase of Toyota Field in November 2015, while SS&E chipped in $3 million and signed a 20-year lease. The stadium’s original tenant, owner Gordon Hartman and the NASL’s Scorpions, proposed in 2014 a $38-$45 million expansion that included the addition of 10,000 seats, 18 more suites, a roof and more. It’s unknown whether SS&E’s stadium plans, which must be submitted with its expansion application due Jan. 31, mirror Hartman’s. Holt said he couldn’t comment on the specifics or financing. While the Spurs cast a long shadow, the shared ownership, complementary timing of the NBA and MLS seasons and relative lack of major league competition leave SAFC—or whatever the potential MLS team might be called—with room to grow. San Antonio doesn’t have a ton of soccer history to fall back on, but it’s proven to be a supportive market in recent years. The Thunder, which featured England’s World Cup-winning captain Bobby Moore, lasted just two seasons in the original NASL. And the USL’s Pumas didn’t make much of a dent in the mid 1990s. But Hartman found a good formula in 2012, when more than 9,000 fans per game watched the Scorpions’ inaugural NASL campaign. Crowds would settle in just below 7,000 for the next three seasons, and in 2014 the Scorpions won the league title with a 2-1 victory over the visiting Ft. Lauderdale Strikers. Hartman, a notable philanthropist who established a nearby amusement park catering to disabled guests, eventually decided to fold the club and sell the stadium in order to funnel the proceeds into the park (as he did with any profit earned from the Scorpions). The city, county and SS&E stepped in 13 months ago, acquired Toyota Field and established SAFC. Featuring the iconic spur made famous on the NBA hardwood in its crest and coached by former Orlando City academy director Darren Powell, SAFC finished fourth in attendance (6,170) but three points out of the playoffs at 10-12-8 in its first USL season. SAFC also has launched a fully-funded academy, starting with boys born in 2004. They’ll lead the way as additional, younger age groups are added in 2017-18. Absent an ideal venue, San Antonio hasn’t hosted many high-profile matches. The Alamodome, whose primary occupier is the UTSA football team, is almost 25 years old. Mexico and South Korea drew more than 54,000 fans to a 2014 friendly, and then El Tri and the USA hit 65,000 a year later. The USA’s only other visit came back in 1988, when it defeated Costa Rica at a high school football stadium just down the road from Toyota Field. MLS likes owners and investors with ties to other pro sports, and SS&E obviously fits that bill. Considering the company’s reputation and resources, it would be a significant addition to the MLS board room. Tim Holt also is a respected executive who spent 16 years as president of the USL before leaving for Orlando. He’s someone with whom MLS will have no problem working. Public and political support of SAFC and SS&E help as well. Not only did the city and county kick in for Toyota Field, AT&T Center was financed largely by county bonds and hotel/car rental tax increases. That sort of commitment, especially if it extends to soccer stadium renovations, will impress at MLS. Last but not least, the market’s diversity, youth, growth and consistent support for the Scorpions and SAFC also are significant plusses. Simply put, the competition is tough. While San Antonio has an attractive combination of attributes, it’s up against bigger markets and glitzier stadium plans (or promises). Like other expansion hopefuls outside the top 20-25 DMAs, it’ll have to wow the league. While MLS doesn’t see Toyota Field’s location as a detriment, it's tough to imagine it having the same impact as proposals in Detroit, Tampa Bay, St. Louis or Sacramento. And among the list of 10 identified applicants, San Antonio’s metro population ranks sixth. It will be important for SS&E and SAFC to demonstrate that Austin can be counted on. Holt said there was no indication that MLS was concerned about adding a third Texas team. But with San Antonio sitting 275 miles from Dallas and around 200 from Houston, the league may decide that the area doesn’t represent a hole on its national map. Or conversely, MLS might be attracted to a Texas Triangle series that may become the state's answer to the Cascadia Cup in the Pacific Northwest. There’s not much doubt that SS&E can run a successful team or that fans will support it. The question is whether MLS feels it needs to be in San Antonio. The Raleigh–Durham–Chapel Hill, NC Combined Statistical Area (CSA), as it’s known officially by the U.S. government, is a relative newcomer to the big-market, big-league scene and it remains in search of a consistent identity. Different constituencies call it by different names (but please, don’t say “Raleigh-Durham”) and its only major pro sports team plays a game that’s hardly traditional in the Southeast or Piedmont or whatever part of the country you think that area of North Carolina occupies. The Carolina Hurricanes won the Stanley Cup in 2006, but the franchise still hasn’t found much traction. It’s dead last in average NHL attendance this season, and the Hartford Whalers logo it used to wear is still more recognizable than the current swirling red-and-black puck storm thing. Thanks to Kevin Costner and Susan Sarandon, the same probably could be said of the AAA Durham Bulls. The region’s most significant sporting traditions occur outside the “big four.” College basketball is king. The sport unites not-Raleigh-Durham, while the rivalries divide it. The universities in the Research Triangle (there’s another name) play along Tobacco Road (and another). UNC (Chapel Hill), Duke (Durham) and NC State (Raleigh) have won a combined 12 NCAA titles. They don’t field national championship-contending football teams, but the ACC is a competitive, high-profile league and the two state schools averaged more than 50,000 fans last season (Duke came in just under 30,000). Then there’s soccer. One doesn’t necessarily think of the Research Triangle as a place with deep soccer roots, but Steve Malik thinks you should. And if you dig beneath the hardwood-covered portion of Tobacco Road, you’ll see he’s got a point. Indeed, the Triangle is the birthplace of modern women’s soccer. Dorrance’s recruiting prowess and focus on enhancing the competitive dynamic within and among female players changed the game, resulting in 21 NCAA titles and laying the foundation for the three-time Women’s World Cup champion national team. On the men’s side, UNC (two) and Duke (one) have won NCAA crowns. And the Capital Area Soccer League is more than 40 years old and now is home to more than 10,000 youth players. “We have that history of supporting the sport and being one of the best places in the country for the sport,” said Malik, who owns the NASL’s North Carolina FC and NWSL’s North Carolina Courage. Now he wants to take NCFC to MLS. In addition to that history, Malik will cite the Triangle’s growth and appeal to millenials when making his case to MLS. The CSA is home to around 2.1 million people—Malik said North Carolinians don’t mind a drive—which would rank around 29th in the country. As a media market, it stands 24th. 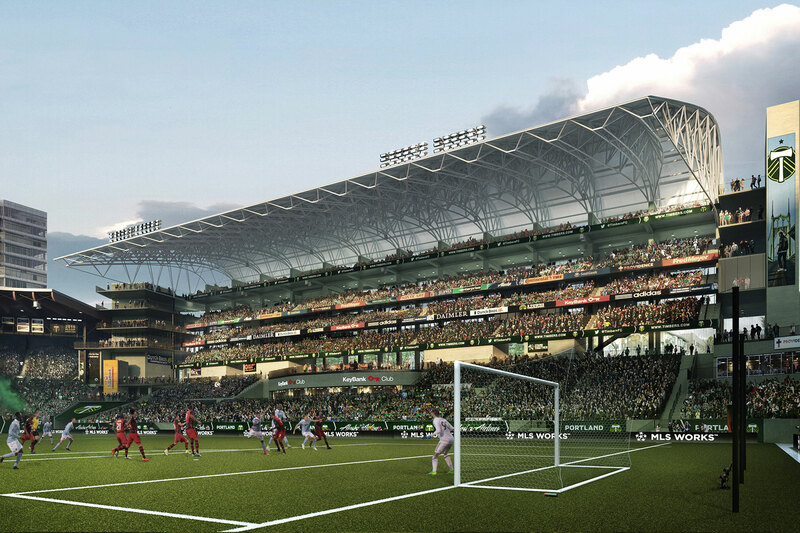 While that may not whet MLS’s appetite, the area’s trajectory might resonate. Among CSAs with more than 1 million people, only those anchored by Houston and Orlando grew faster in 2010-15. Malik made his millions launching, selling and then buying back Medfusion, which started as a medical website development company and moved into broader healthcare communications and IT solutions. He’s a soccer fan. Malik played for his high school team—he said he remembers the squad having to solder its own goals because you couldn’t buy one in the late 1970s in eastern North Carolina—and he’s long been a supporter of UNC’s soccer programs. In early 2016, he decided to venture into the pro game and purchased the NASL’s Carolina Railhawks from Traffic Sports. Last month he rebranded the team and announced his MLS intentions and in early January, Malik finalized the purchase of the Western New York Flash—now the Courage. Malik emerged as a leader during the NASL’s recent struggle for survival and its bid to maintain its second-division sanctioning with the U.S. Soccer Federation. Sources have told SI.com that his committed and cooperative tone made a difference as the NASL, USL and USSF sought a solution. WakeMed is fine for the NASL and NWSL, but it won’t do for MLS. Malik knows this and has been working for some time to secure a spot for a suitable stadium. He told SI.com that he’s narrowed eight potential sites to three, all of which will be presented to MLS as options in NCFC’s expansion application. Malik said that he and his potential partners will fund construction of the stadium and that he will seek public support for infrastructure, such as road improvements or parking. One was described as an “urban setting” that Malik liked to Seattle or Portland, where fans can walk to the game from nearby restaurants or bars. Another was a bit further out and “right off the highway … more of the Sporting KC model,” he said. Malik said at NCFC’s unveiling that he was targeting a venue with at least 20,000 seats. Gensler, an architectural firm based in Washington D.C., has been hired to design the stadium. Gensler designed Los Angeles FC’s Banc of California Stadium, which is under construction, and the renovations at Toronto FC’s BMO Field. WakeMed will continue to serve as a training and academy facility. The Railhawks/NCFC launched in 2007 and left the USL for the NASL in 2011 as part of the ill-fated deal that introduced Traffic Sports to U.S. pro soccer. Its best season was the 2010 transition year, when the USSF administered the second tier. The Railhawks were league runner-up. While fortunes on the field have fallen since then—the last playoff appearance came back in 2012—attendance has gradually risen from 3,883 per game that year to 5,058 in 2016. Malik didn’t the think name Railhawks sounded major league so he decided to re-brand the club. Conversely, he’s quite proud of the “Courage” moniker and the fact that NCFC is the only minor league men’s club with a women’s partner. The original Courage were champions in the original women’s pro league, the WUSA, which played from 2001 through 2003. Hege Riise, Birgit Prinz and Tar Heel legend Carla Overbeck were among the stars back then. Charlotte tends to attract the big international matches, whether its CONCACAF Gold Cup games or club friendlies, and the U.S. national team has visited the state just once in the past 20 years—a 1-1 exhibition draw with Jamaica at WakeMed in 2006 that drew more than 8,000 fans. The American women are far more frequent visitors. In six games at WakeMed between 2002 and 2014, the U.S. is 6-0-0 and has attracted an average of 5,019 supporters. The Carolinas are a growing area of the country and represent a definitive hole on the MLS “map.” There are around 650 miles separating Washington and Atlanta that the league might want to try and fill. Speedway Motorsports president and CEO Marcus Smith has declared his intention to bring an MLS team to Charlotte. It’s a bigger market than the Triangle but with less soccer tradition and now, less stadium certainty following a Thursday vote that killed any chance of city funding. MLS won’t be putting two clubs in the Carolinas. 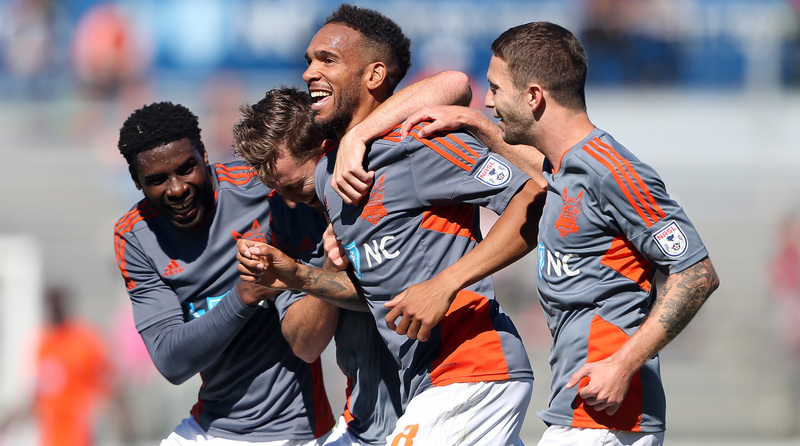 NCFC would be the Triangle’s only major league sports team other than the struggling Hurricanes and as Malik said, the demographics seem promising for pro soccer, as does the area’s wealth and tradition for support and participation. The growth-rate is high. NCFC’s academy structure already is set up and club president and GM Curt Johnson, who held the GM role for Sporting Kansas City (then the Wizards) from 1999 to 2006, is well respected. The Triangle is up against bigger markets (only Nashville is smaller and Cincinnati is comparable) and wealthier ownership groups in the MLS expansion sweepstakes. The lack of major league competition at home, ironically, also may work against it. Is this an area that can muster consistent fan and sponsorship support for a major league franchise? Malik said he was confident that it would and that potential corporate partners have been engaged. North Carolina itself may be an issue as well. The March 2016 passage of the state’s notorious HB2 law—the “Bathroom Bill”—and the ensuing controversy has resulted in several high-profile boycotts. Among the most notable on the sports front are this year’s NBA All-Star Game, which moved from Charlotte to New Orleans, and the ACC football championship. More recently, the Electoral Integrity Project run by Harvard and the University of Sydney suggested that the state wasn’t even a functioning democracy. He called HB2 “unacceptable in so many different ways” and said he still believed it was going to be repealed. And as for whether MLS should do business in North Carolina, he pointed to the NWSL’s approval of his purchase of the Courage and his commitment to make his teams an example. In July, for example, the Railhawks hosted a friendly against West Ham United and donated funds from a tailgate and jersey auction to a local LGBTQ advocacy group. Austin Berry was born in Cincinnati and now, after pro soccer stops in Chicago, Philadelphia and South Korea, the 28-year-old defender captains FC Cincinnati. But he doesn’t play where he was raised. Cincinnati is a city of tradition. Among the first founded after the American Revolution (it was named for a veterans’ society), it’s home to the country’s oldest professional baseball team, its first municipal fire department and its second oldest zoo. Cincinnati’s architecture is historic and influential. The Carew Tower inspired the Empire State Building and the Over-the-Rhine neighborhood just north of downtown calls itself “one of the largest, most intact urban historic districts in the United States.” And as the city is renewed, that heritage remains. Its annual Oktoberfest is the biggest in the country. Cincinnati had always considered itself a major league city. But its days as a 19th-century boomtown were long gone. Population within the city limits fell continuously during the second half of the 1900s, and Cincinnati faced many of the same challenges encountered by its Rust Belt brethren. FC Cincinnati is a symbol of that renewal. The USL club already feels like it has been around for decades, although it played its first game just 10 months ago. Record-setting crowds at an historic stadium have that affect. “Cincinnati has always been a sports town, an historic sports town. Everyone still loves the Reds. You love your team and you love to hate your team. We like to rag on the ‘Bungles.’ But the city has really been yearning for something a little new–something that’s different,” Berry said. Overall, the metro area is ranked 28th overall in population and 36th as a media market. But Berding points out that if you combine Cincinnati with Dayton, which is some 50 miles to the north, it would rank 21st. By June, there already was a tribute beer: "Blood Orange IPA". 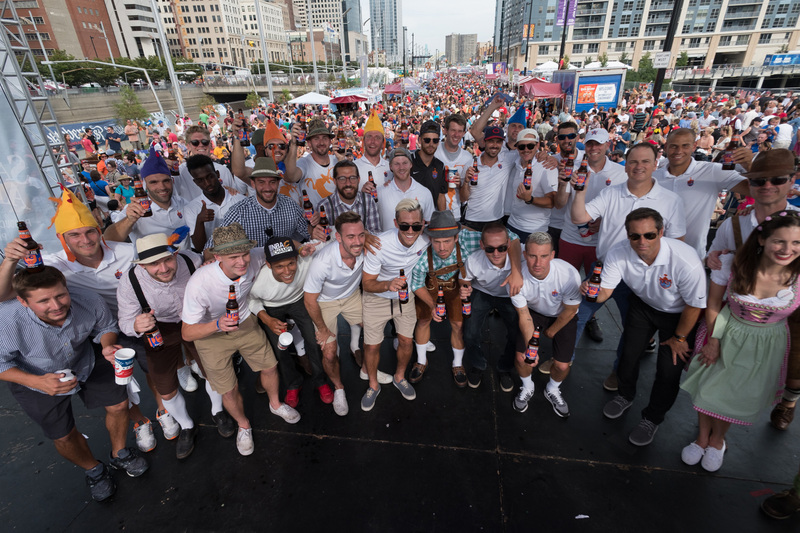 And then this fall, the men of 1-year-old FC Cincinnati were grand marshals at Oktoberfest Zinzinnati. It was as if one storied tradition met another. “When they introduced us over the loudspeaker, the roar and the applause from the crowd—everyone knows who we are, and they’re so excited about it,” Berry said. The man who intends to take FCC to MLS is a member of another Cincinnati institution: the Lindner family. The Lindners control insurance and investment company American Financial Group, which owns Great American Insurance. Their offices are in the Great American Tower, the 665-foot skyscraper that is Cincinnati’s tallest. AFG took in more than $6.1 billion in revenue in 2015. Forbes ranked the family as the 129th wealthiest in the USA with an estimated net worth of around $2 billion. Carl Lindner III is FCC’s majority owner. His late father, Carl Lindner Jr., owned part of the Reds in the early part of the 2000s, and his grandfather, Carl Lindner Sr., got the family up and running in the 1940s with a dairy business just outside Cincinnati that evolved into a chain of stores. Those commitments didn’t need to be nailed down by Jan. 31, the day MLS expansion applications were due. Lindner has more than enough to make things happen. The University of Cincinnati’s venerable Nippert Stadium does the job for now. But MLS requires a stadium designed with soccer in mind, so it isn't a permanent solution. Berding said FCC has zeroed in on two potential stadium sites, both of which are in the city’s urban core that stretches connects the river, downtown, Over-the-Rhine and UC. He wouldn’t provide details regarding the financing but said MEIS architects and principal Tim Lambert have been working on the stadium design. Lambert was involved in designing Red Bull Arena, StubHub Center, Toyota Park and Rio Tinto Stadium in MLS. He’s also working on AS Roma’s new arena. Berding, a youth goalkeeper who also was involved as a coach and administrator in local youth soccer, helped run the mid-1990s campaign that resulted in voter approval for the 0.5% sales tax increase that funded construction of new riverfront stadiums for the Bengals and Reds. Berry was the 2012 MLS Rookie of the Year with the Chicago Fire. He was traded to the Philadelphia Union in 2014, got hurt and never felt like he fit in the club’s long-term plans. Then an odd but appealing opportunity arose—FC Anyang in South Korea. Berry took a chance, moved to the city outside Seoul and quickly became an automatic starter. The experience was challenging but compelling, and he could’ve stayed in 2016 or pursued options elsewhere. But home beckoned, and he could tell FCC was taking itself seriously. The club hired legendary U.S. midfielder and National Soccer Hall of Famer John Harkes as head coach and inked several players with MLS experience. Harkes had been waiting for the chance to manage a team, and he had a roster full of men who’d tasted MLS and “had a lot to prove,” Berry said. The club made an instant impact. More than 14,600 fans showed for the USL regular season home opener last May, and nearly 20,500 came the following week. 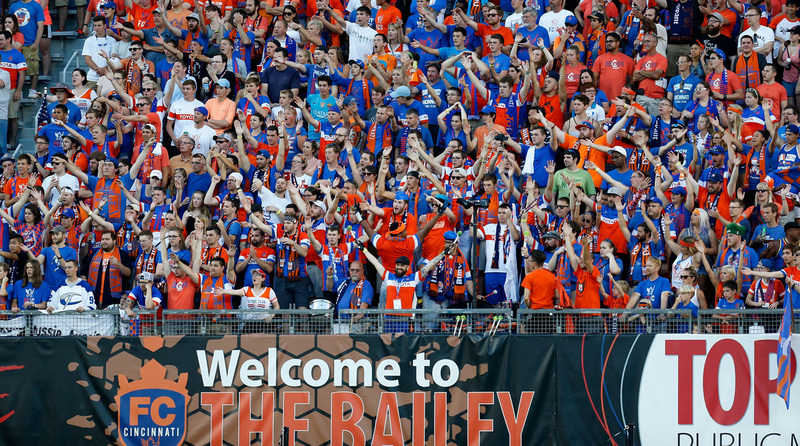 FCC finished third in the 14-team Eastern Conference and was upset in the first round of the playoffs by Charleston before a jaw-dropping 31,187 fans at Nippert. Berding said FCC already has more than 9,500 season tickets sold for 2017. There seems to be room for a third big-league team in Cincinnati. A long wait for titles helps provide it. The Reds have won one World Series (1990) in the past 40 years and ranked 25th in MLB attendance last season at 23,383 per game. The Bengals have those two Super Bowl losses in the 1980s, lots of recent playoff frustration and crowds that rank 29th in the 32-team NFL. On ice, the Cyclones play in the third-tier ECHL and are an affiliate of the Nashville Predators. Cincinnati had brief flirtations with soccer in the past, but nothing really stuck. There's been a parade of low-level teams, from the ASL’s Comets and PDL’s Kings to the A-League’s Riverhawks. But that, combined with a vibrant youth scene, never was enough to put the city on the national soccer map. The U.S. men’s national team has never played there and the women have made only three appearances, most recently in November 2008. Just 5,877 showed up to Paul Brown Stadium to see a scoreless draw with South Korea. 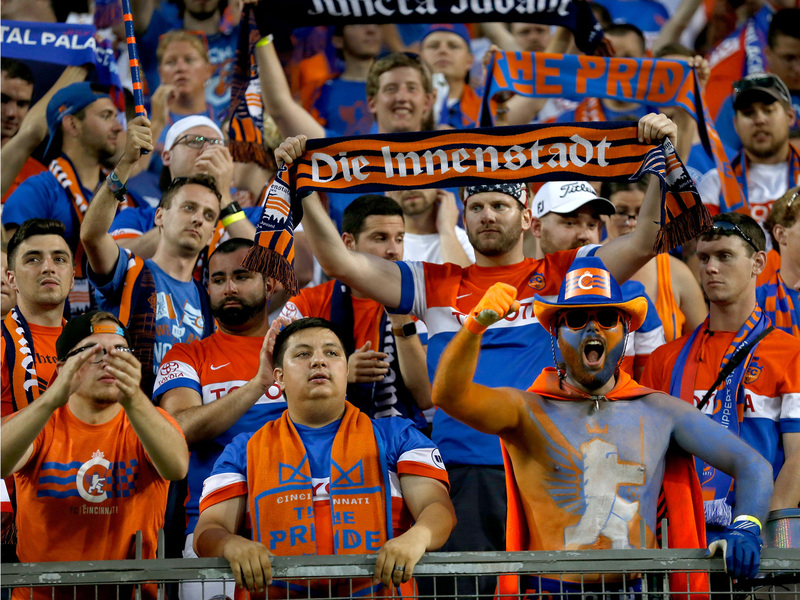 FC Cincinnati is a phenomenon, and the prospect of having another raucous, colorful crowd it can point to as evidence of soccer’s American growth will appeal to MLS. The numbers at Nippert speak for themselves. Lindner is wealthy and serious. Berding said the aim from the start was to play at the highest level possible, but ownership hasn’t exactly been pinching pennies until then. For example, FCC bought time on local stations, including the city’s CBS affiliate, so it could broadcast all home games in HD—because major league teams are on HD TV. There’s money coming in from the rest of the city as well. A year ago, well before it played its first game, FCC had 17 corporate sponsors signed up. Toyota is its USL jersey sponsor. And as of 2015 the Cincinnati area was home to 10 Fortune 500 companies, an impressive number for its size. Among them are Procter & Gamble, Macy’s and AFG. As a media market (excluding Dayton), Cincinnati ranks last among the 12 cities competing for one of the four available MLS openings. Regardless of the crowds, that could be an issue for a league concerned about its TV ratings. In metro population, however, at least it's larger than Indianapolis, Nashville and Raleigh. There also may be some at MLS who aren’t convinced that last year’s crowds are sustainable. FCC’s season ticket numbers suggest they are, but the city hasn’t proven itself over the long term. Finally, there’s the issue of Columbus. The Crew’s Mapfre Stadium sits just 110 miles from Nippert. That’s not a long way between two major league teams in two mid-tier markets. The Crew have seen attendance rise in recent years, from a miserable 12,185 per game in 2010 to 17,125 last season. Perhaps Cincinnati, its fan base and corporate support would feel too close for comfort in Columbus. Or perhaps FCC’s entry would spark one of American soccer’s best rivalries. If MLS is unsure, that could work against FCC. There are other expansion options in the Midwest. For now, both clubs and the commissioner are saying all the right things. In a statement provided to SI.com on Thursday, Crew owner Anthony Precourt said, "These 12 expansion applications come from all over the United States, and it is exciting to see several markets close to Columbus in the applicant pool, including Cincinnati, Detroit, Indianapolis and St. Louis. Our Crew SC supporters have a chance to see some healthy new regional rivalries develop within MLS in the coming years." “They've just got to keep doing what they’re doing because they’re doing it really well. We all need to be sure that all the elements that you need to be successful exist in the market,” commissioner Don Garber told The Cincinnati Enquirer. “Certainly, it seems as if it does in the short term, but we want to be sure, as I think ownership does as well, that that will make sense over the mid and long term." Culturally, demographically, geographically, historically, athletically—pick your filter: there’s not a ton of obvious overlap between soccer and stock car racing. If Marcus Smith has his way, however, soon there will be plenty. There may be spirited debate over which city is America’s soccer capital, but there’s no question that Charlotte is the center of the NASCAR kingdom. And Smith, 43, is the crown prince. The son of Charlotte Motor Speedway and Speedway Motorsports (SMI) founder O. Bruton Smith, Marcus started out as an assistant in the track’s corporate sales department and now serves as Speedway’s president and CEO. So he knows sponsors and he knows events. Racing and soccer share a common bond through the former, as corporate logos adorn uniforms and can become synonymous with teams. But it’s the latter that really intrigues Smith. He’s accustomed to six-figure crowds at races, and he’s noticed the same color and commotion surrounding the CONCACAF Gold Cup and international club friendly matches staged at Charlotte’s Bank of America Stadium. In 2011, some 46,000 fans showed up to a Gold Cup doubleheader at the city’s NFL venue. Three years later nearly 70,000 saw AC Milan play Liverpool in and in ’14, another nearly 56,000 watched the memorable 4-4 Gold Cup tie between Mexico and Trinidad & Tobago. Now he’s ready to bet big on soccer. In the summer of 2016, Smith began speaking with MLS and last week, he formally applied for one of the four expansion teams the league plans to award. He hopes his team will play at a new stadium constructed on the site of the city’s American Legion Memorial Stadium, which opened in 1936. It’s located in Elizabeth, just across the street from Independence Park and about a mile southeast of the NASCAR Hall of Fame and the Charlotte Hornets’ arena in Uptown Charlotte. If racing and basketball are at the city’s heart, Smith hopes soccer isn’t too far away. Indeed, Charlotte has evolved into an economic and cultural anchor in the American Southeast. It’s the country’s 22nd most-populous metro area and its 22nd largest media market. Last year, Forbes ranked it as the 13th fastest growing city and eighth among the “best big cities for jobs.” Known as a center for banking, energy and healthcare, in addition to racing, the Charlotte area is home to seven Fortune 500 companies. Among them is Sonic Automative, the retailer founded by Bruton Smith. The city claims to be home to an influx of millennials and Latinos, which arguably are MLS’s two most coveted demographics. During a recent hearing on Smith’s stadium plan, Charlotte Chamber of Commerce president and CEO Bob Morgan told Mecklenburg County officials that the number of residents aged 18-34 increased by 30% over the 10 years ending in 2015, while Latinos now comprise 14% of the area’s population. Speedway Motorsports is a publicly traded company that took in $496.5 million in revenue in 2015 but suffered a net loss overall. Sonic Automative, also publicly traded, posted an $86.3 million profit. The outspoken, ambitious and innovative Bruton Smith was on Forbes’ list of the 400 richest Americans as recently as 2006, when his net worth of around $1.4 billion placed him 278th. He’s not currently ranked, but the family as a whole likely is doing just fine. Last year, the Smiths expressed an interest in buying the Carolina Panthers should they become available following the death of founder Jerry Richardson. Bruton Smith also once was a part owner of the Kannapolis Intimidators, a Single-A baseball team named for NASCAR legend Dale Earnhardt. Last year, SMI’s Bristol Motor Speedway hosted a college football game between Tennessee and Virginia Tech that drew nearly 157,000 fans. Marcus Smith didn’t have much time between his initial conversations with MLS and the Jan. 31 application deadline, which was announced in mid-December. 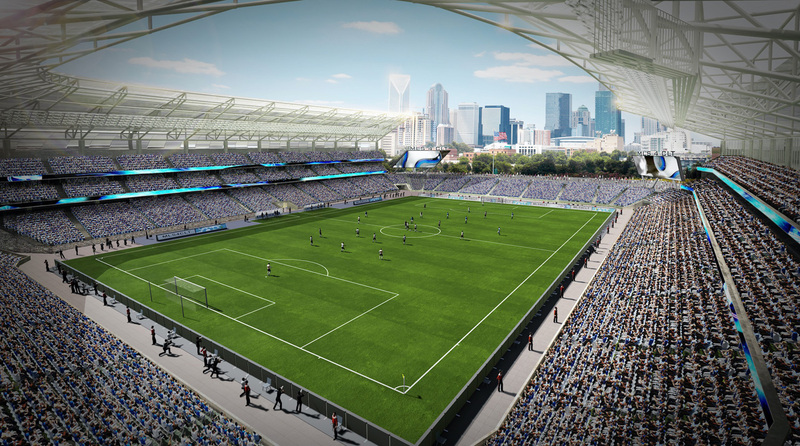 The timing apparently wasn’t right for the Charlotte city council, which decided a few days before the application deadline that it wasn’t ready to vote on public funding for an MLS stadium. Under Smith’s proposal, he would pay the $150 million expansion fee and half the cost of a $175 million venue at the 16-acre Memorial Stadium site. Mecklenburg County, which would lease the land to the MLS club, would kick in $43.75 million. The city would contribute another $43.75 million toward construction from money designated for tourism and hospitality expenses. The stadium then would be made available to the city and county for 20 dates each year. Mecklenburg said ‘yes,’ but Charlotte balked. According to the CBJ, the city has contributed significant funds to recent sports and entertainment projects. For example, Charlotte spent $265 million on the Hornets’ Spectrum Center, $200 million on the NASCAR Hall of Fame and $87.5 million on renovations to the Panthers’ Bank of America Stadium (which is owned by the team). Smith argued that those were worth the money and that the investment would be a good one for the city and Elizabeth, the up-and-coming neighborhood where Memorial Stadium now sits. The Speedway opened back in 1960 and is the site of the Memorial Day weekend Coca-Cola 600 and October’s Bank of America 500, among other events. Charlotte’s entry into the major league sports scene is more recent. The Hornets (who left town and then re-emerged as the Bobcats and then became the Hornets again) took to the floor in 1988 and the Panthers followed in 1995. Neither has won a league title. The Hornets play to around 91% capacity and the Panthers routinely announce sellouts. On the minor league level, Charlotte is home to the AHL’s Checkers, who play about three miles southeast of Uptown, and the AAA Knights, whose BB&T Ballpark is a couple blocks from the NFL stadium. The Checkers draw more than 6,000 fans per game and the Knights exceeded 8,900. The Panthers’ interest in soccer is limited to international matches (although they’re not a Gold Cup host this summer). But Charlotte hosted soccer well before the NFL arrived. Memorial Stadium was home to the Carolina Lightnin’, an ASL team in the early 1980s that was coached by long-time Queens Park Rangers and Manchester City forward Rodney Marsh. Among his players was England World Cup-winning captain Bobby Moore. The Charlotte Eagles launched in 1993 and have played at every level of minor league soccer since then, winning third division titles in 2000 and 2005. The club is part of a Christian organization called Missionary Athletes International and now competes in the PDL at a school eight miles south of Uptown. Now this is where it gets a bit complicated. The Eagles dropped to the PDL after the 2014 season, leaving the market without pro soccer. In stepped Jim McPhilliamy, a former Hornets executive who started the Charlotte Hounds pro lacrosse team in 2011. The Hounds now are the primary tenant at Memorial Stadium, which McPhilliamy reasoned would be ideal for soccer. He saw the same trends Smith noticed. So in 2014, he founded the Independence, which began play in the USL at a temporary facility located at a suburban soccer complex. The Independence are affiliated with the Colorado Rapids and are coached by former FC Dallas manager and Chicago Fire assistant Mike Jeffries. Those are MLS names, and McPhilliamy was thinking big. He commissioned architectural renderings and began negotiating with the city and county on a $24 million renovation and expansion of Memorial Stadium that would house the Independence and later could be expanded to accommodate MLS. Last fall, McPhilliamy was searching for investors. Smith’s plans and negotiations took McPhilliamy by surprise. In an email to the city council obtained by The Charlotte Observer, he said the Independence was “run over in this process,” and that his team will have “no viable short-term or long-term stadium solution in Charlotte.” In addition, he claimed his renderings were shared with Smith and MLS without his consent. SMI denied that was the case. Smith told SI.com that he’s spoken with McPhilliamy and that the time crunch ahead of the MLS deadline made it difficult to make progress on multiple fronts. This year, the Independence will play at a stadium in Matthews, some 13 miles southeast of Uptown Charlotte. The Carolinas represent a significant hole in the MLS map, and expanding to either Charlotte or Raleigh would make a lot of sense for a league hoping to establish a greater presence in the Southeast. It won’t go to both, but the chances of one getting selected are pretty good. The markets have comparable populations. Charlotte will support its case with its glut of big businesses, its status as a transport hub (CLT is the eighth-busiest U.S. airport) and its history of support for pro sports. MLS has a fondness for investors with ties to other leagues, and welcoming a leading NASCAR figure probably will appeal. The longer it takes Smith to work out a stadium deal, the dimmer the prospects get. If MLS is ready to pull the trigger on teams 25 and 26 before he’s ready, that has an obvious impact on his chances. He’ll be leading one of 10 bids chasing just two openings. Then there’s North Carolina’s political situation, highlighted by the discriminatory “bathroom bill” passed last March. Charlotte has taken the heavy brunt of the law known as HB2. Among the losses are the 2017 NBA All-Star Game and the ACC football championship. Would MLS, which has positioned itself as a modern, progressive league, do business in that climate? Smith argued that sports, musicians and artists who avoid Charlotte are hurting their fans, not those responsible for the legislation. In fact, the state’s effort to pass the bill began when Charlotte approved an ordinance prohibiting discrimination in public accommodations. In December, negotiations aimed at repealing both the city ordinance and HB2 fell through. It begins, of course, with the iconic Indy 500, which consumes the city each Memorial Day weekend. It’s the planet’s largest one-day sporting event. There’s the Brickyard 400 as well. It’s not nearly as old as its open-wheel counterpart, but it remains a highlight of the NASCAR calendar and one of the circuit’s richest races. Back in the city, the Indianapolis Indians are minor league baseball’s second-oldest team—they first took the field in 1902—and last season they attracted the second-highest average attendance below MLB. The Indiana Fever have won a WNBA title and draw crowds that exceed the league average. And Wayne Gretzky began his pro career with the old Indianapolis Racers. Indianapolis is the site of the NCAA and the NFHS, which governs sports at the high school level. Butler University’s Hinkle Fieldhouse is home to several well-known Cinderella basketball stories, from the Bulldogs’ two recent Final Four runs to Milan High’s stunning state title in 1954. The Hickory Huskers won their championship there as well—that one’s much easier to find on film. Super Bowl XLVI, seven men’s and three women's Final Fours, the Big Ten football championship, the 1987 Pan Am Games, the 2002 FIBA world championship—they all were hosted in Indianapolis. 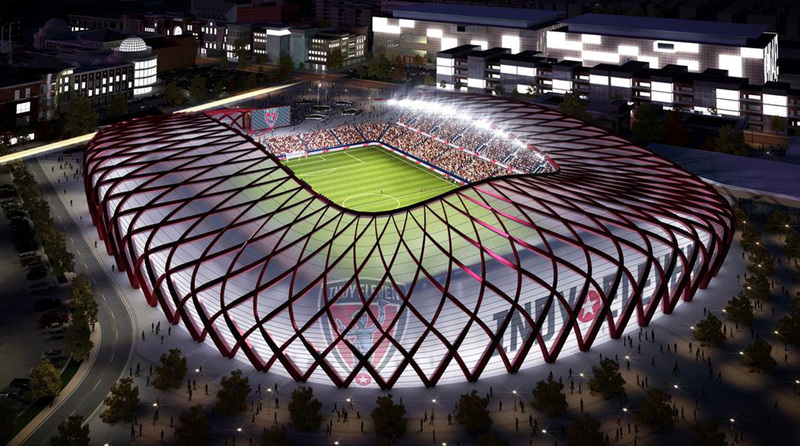 Now the city that calls itself the “Crossroads of America” and its three-year-old NASL club, Indy Eleven, hope to attract MLS. And they’re using that impressive, if under-appreciated, sporting culture as a lure. “No city in the country has made sports a focal point quite like Indianapolis—and no city is better equipped to welcome Major League Soccer,” the Eleven’s bid summary reads. That civic identity and commitment will be central to Indy’s bid, since the market itself doesn’t particularly stand out from its MLS expansion competitors on raw numbers. Indianapolis anchors the 34th most populous metro area in the USA. That’s not too small for MLS—San Jose is 35th and Salt Lake City 48th—but it means Indy will have to excel in other areas. As a media market, it’s a more attractive 27th. That’s higher than several expansion rivals. Four Fortune 500 companies are headquartered in the area and multinationals like Honda, Salesforce and Rolls-Royce have significant presences. Forbes named Indianapolis as the country’s 10th best city for young professionals thanks to the area’s job growth and relative low cost of living. Indy Eleven president Jeff Belskus used to be president and CEO at the Indianapolis Motor Speedway. He knows Circle City sports, and he said top-tier soccer would be a perfect fit. Indy Eleven and the MLS bid are led by Ersal Ozdemir, a native of southern Turkey who moved to Indiana to study civil engineering at Purdue. He made his millions as the founder of Keystone, a construction and real estate company now based in Indianapolis. Ozdemir launched the Eleven in 2013 and hired soccer start-up savant Peter Wilt to build the team and front office. Ozdemir is very well connected in Indianapolis. His board memberships include the Indiana Chamber of Commerce, the University of Indianapolis and the Indianapolis Museum of Art. He also co-chaired a host committee ahead of Super Bowl XLVI. Joining Ozdemir in the MLS investor group are National Bank of Indianapolis and Indianapolis Business Journal chairman Mickey Maurer, Heritage Environmental Services president and CEO Jeff Laborsky, Elwood Staffing CEO Mark Elwood and Mohr Auto Group founder Andy Mohr. The plan is to rely on Indy’s love for sports. The city, county and state’s support for athletics is hard to miss on a stroll through Indianapolis’s small but dense downtown. The massive Lucas Oil Stadium isn’t only the “House That Peyton Built.” The $720 million venue opened in 2008 thanks largely to the collection of tourism-related taxes (food, hotels, rental cars, etc.) in the city and surrounding counties. The Colts chipped in $100 million. The Pacers’ Bankers Life Fieldhouse opened its doors in 1999 and cost $183 million. It was paid for through similar means, and the Pacers have collected additional millions since then to cover operating and maintenance costs. Marion County’s Capital Improvement Board, which managed the funding of the two major league arenas, also funneled $20 million toward the Indians’ stadium and $53 million toward renovation of Indiana Farmers Coliseum, which hosts the ECHL’s Indiana Fuel and IUPUI basketball. The key to adding a soccer stadium to that portfolio, Belskus said, is the creation by the state legislature of what is called a Professional Sports Development Area (PSDA). Once the PSDA’s boundaries are defined, the city and county can pass bills providing for the collection of taxes within the footprint. Indy Eleven is asking for the creation of a PSDA that would enclose the stadium it hopes to build between the NFL venue and the White River. Belskus said the taxes would be raised through stadium usage—from tickets, concessions and parking to the salaries of those who work there. “If you don’t go to events at the stadium or you don't work at the stadium, you don’t pay,” Belskus explained. The stadium would be owned by the city and leased back by the club, which also intends to contribute some $10 million toward construction, which Belskus estimates would cost around $120 million. Ozdemir and his partners will foot the entire MLS expansion fee. In 2015, the Eleven’s first attempt to secure stadium funding died in committee. The Indiana State House agreed to funnel user taxes toward a new venue. The senate preferred to spend money to upgrade Carroll Stadium, the Eleven’s current home on the campus of IUPUI. The government was willing to raise $20 million and spend the money, it just couldn’t figure out how to do it. Nevertheless, Belskus said those “yes” votes indicate a genuine interest in soccer. “That’s part of the reason for our confidence and optimism about getting this done. They’ve shown support in the past,” he said. MLS’s expansion standards require the new stadium, so that’s the goal. And the key will be explaining the project to the public. Despite the robust sports scene, the Eleven have carved out their niche and been a noteworthy soccer success story over the past three years. They play in a convenient stadium (Carroll is within walking distance of downtown). They’ve got a cool logo featuring the Victory statue from Indy’s imposing Soldiers’ and Sailors’ Monument. And at the start, they had Wilt’s experience and savvy. Combined, that helped attract sell-out crowds eclipsing 10,400 at every NASL game in 2014. That figure included 7,000 season ticket holders. Colts quarterback Andrew Luck is a big soccer fan, lives near Carroll and has stopped by on occasion. Indy struggled on the field in ’14 and ’15 and attendance dropped to 8,362 per match last season. Still, over those three years, only Sacramento Republic has brought in more fans among clubs below MLS. The Eleven’s on-field fortunes turned last year, with the club finishing second in the regular season standings before losing the NASL final to the New York Cosmos on penalties. The semifinal victory over FC Edmonton, which drew 9,700, was the biggest soccer game played in Indianapolis in some time. The senior men’s national team has never played in Indiana, and the women visited Indianapolis twice in the late 1990s. In August 2013, nearly 42,000 showed up for a Chelsea-AC Milan friendly at Lucas Oil Stadium. And the city has hosted four neutral-site U.S. Open Cup finals, most recently in 1997. Bloomington, which is home to Indiana University’s juggernaut soccer program, is about 55 miles south of the city. The state boasts a strong youth soccer base, which includes approximately 65,000 registered players. Carmel United SC, which is now part of the Chicago Fire Juniors program, won U.S. Soccer Development Academy titles in 2008 (U-16) and ’09 (U-18). Beyond the soccer field, the Colts play to capacity crowds and the Pacers are averaging 16,704, which is some 1,200 seats below capacity. Indy has a strong, established fan base and a good brand. Bringing a proven entity into MLS should be more comforting than starting something from scratch. And an MLS team might provide an obvious regional rival to either the Fire or the Columbus Crew, two clubs which still haven’t managed to stoke much long-term reciprocal hatred. The proposed stadium location is attractive and pretty much the MLS ideal. Indianapolis boasts a growing downtown, and there’s plenty of food, drink, entertainment and recreation available within a short walk of the site. The Eleven are relying on politicians. That’s not a comfortable place to be, and the lack of certainty surrounding the project will turn off MLS if the league is ready to name teams No. 25 and 26 before the required votes are cast. That would lower Indy’s odds. MLS loves a public-private partnership, but sometimes those don’t work out. Soccer came close but ultimately failed two years ago, and it’s still a few hurdles away from the finish line now. In addition, Indianapolis doesn’t really represent a hole in the MLS map. The Midwest is crowded with existing teams and expansion hopefuls, and there are several other directions MLS could go. The Eleven have three years of traction. But Detroit has a bigger market and investors with NBA cache. St. Louis has those deep soccer roots, Cincinnati boasts bumper crowds and Nashville has a coolness quotient plus the Ingram family’s billions. Indy is a mid-size market that has work to do if it hopes to stand out from the crowd. SI.com reported that Indy planned to bid for a team on Jan. 30, the day before expansion applications were due. Ozdemir had not gone public with his intentions and as a result, MLS commissioner Don Garber and other officials hadn't commented on the city’s prospects.